"Through learning and sharing, we have opened a place in each other's hearts. The more we meet and the more this group comes together, the better work we can do." On National Aboriginal Day we're celebrating an example of how partnerships and incorporating culture into care are already making an impact on the lives of aboriginal youth in crisis in rural BC. The story starts two years ago when the South Okanagan Similkameen (SOS) Local Action Team of the Child and Youth Mental Health and Substance Use Collaborative, and the SOS division of Family Practice, started looking more closely at children and youth in mental health and substance crisis in their region. As they analyzed the journey of children and youth from hospital and back into the community, they realized they were missing a crucial component: "We didn't have a strong Aboriginal voice on our team," says Project Manager, Tracy St. Claire. "And we really needed that voice." A chance meeting between a youth and family member, and the Interior Health Crisis response team, helped make the important connection to aboriginal colleagues engaged in the same work. After an initial meeting, others caring for aboriginal youth and families with mental health and substance use (MHSU) concerns were spurred to get involved. As a result, the Aboriginal Crisis Response Group was formed. The group includes representation from emergency and family physicians, Interior Health, Ministry of Children and Family Development, the Okanagan Nation Alliance, Penticton Indian Band, Osoyoos Indian Band, and Upper and Lower Similkameen Indian Bands. At early meetings, the group started with simple goals, such as understanding each other's roles, sharing resources, and exchanging contact information. There were real 'aha' moments in the room as people learned about services and processes that were already available. For example, the Penticton Indian Band already had care plans and an interdisciplinary team dedicated to supporting youth in crisis that the others didn't know about. The group continued to meet every six weeks to examine processes, exchange knowledge, and to come to understand each other better. "It truly has been a win-win situation for the community members we're trying to serve," says Ted Cutbill, Penticton Indian Band Director of Social Development. Cutbill also refers to the benefits of knowledge sharing, particularly between the hospital, mental health services, and psychiatry, where the increased understanding has had the most impact. The relationship building and increased knowledge of each other's work led to process improvements in the ER. Now when a youth enters the ER, all relevant background information is collected and shared with the appropriate care providers to ensure a wraparound approach to the youth's care. And it's working. The group can quickly connect youth to the community support they need with a couple of phone calls, and better advocate for ongoing services for those dealing with long-term challenges. "I'm really grateful for this group because they have been working really hard to look at what exists in the community, and at addressing gaps in service," says ED physician, Dr. Zoe Ayling. All the work done has emphasized the importance of incorporating culture into all systems of care. 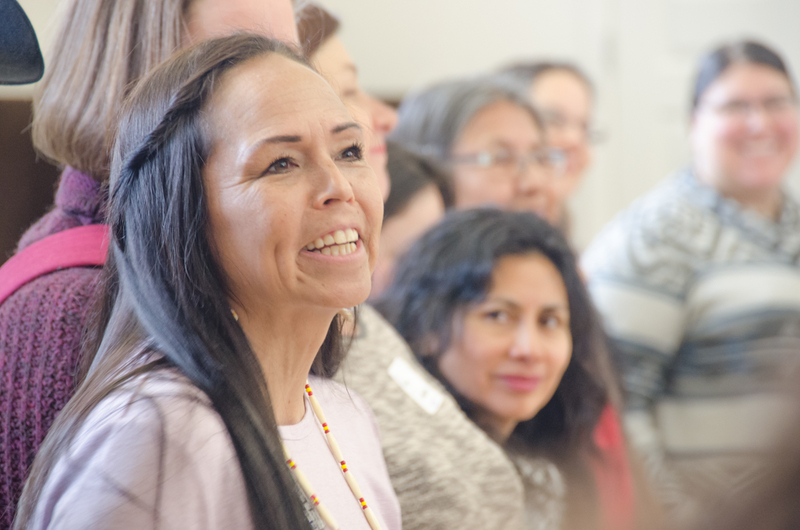 To ensure continuity of this goal, a cultural training workshop was provided to nurses and care providers in the hospital by an aboriginal drug and alcohol worker. A community meeting was also held to bring in others interested in 'Widening the Circle' of care in the region. The group is committed to continuing their work and still meets every two months. "It's extraordinarily important that we work to create and sustain these relationships" says Anne Morgenstern, ED nurse manager. To learn more, please watch Pathway to Partnership, a 10-minute video, which documents this group's essential work.